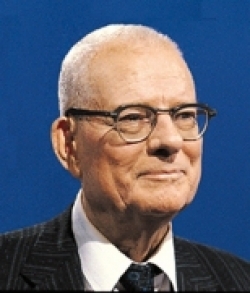 Deming’s work, in turn, was heavily informed by Walter Shewhart and the idea that operational data comprised both a signal and noise. And that through patient observation and statistical methods, we could separate the proverbial wheat from the chaff. Before Shewhart, Deming and the other great pioneers of modern management, business processes were essentially unknown – unknowable. Both Deming and Shewhart informed our Toyota senseis. Every day, a little up, Pascal-san! Is Design Thinking entirely new? Or is our current expression of the timeless ideas that Shewhart and Deming conveyed in generations past? Each of the 4 D’s finds unique expression in different industries. Develop, for example, entails very different activities in, say, web design vs car detailing products. In the former, Develop entails developing, say, the web page’s content, and the front and back end – (translation to HTML, functionality, database, logic). Like PDCA, Design Thinking entails a journey up a staircase in the fog, during which we learn through rapid experimentation and iteration. In my view, both are rooted in the same tradition but differ in that one is aimed at continuous improvement, the other at continuous innovation. We need both arrows in the quiver, no?